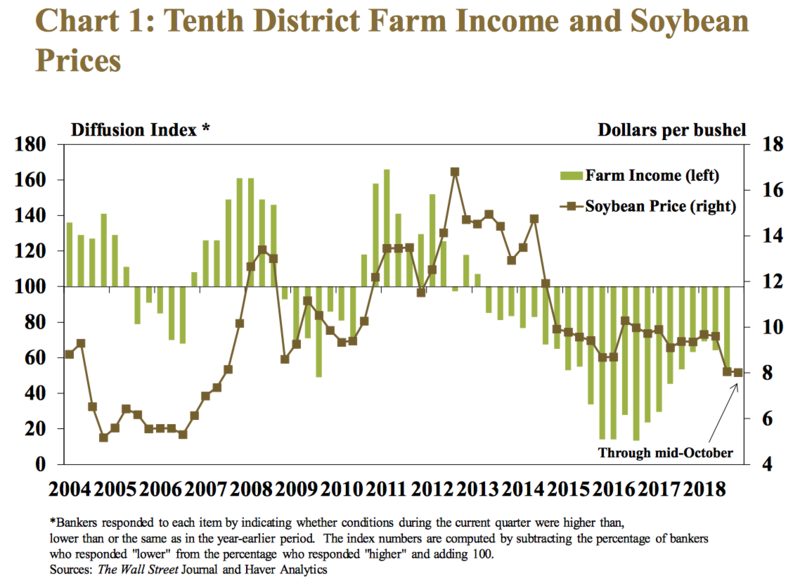 Last week, the Federal Reserve Banks of Chicago, St. Louis, Kansas City, and Minneapolis released updates regarding farm income, farmland values and agricultural credit conditions from the third quarter of 2018. Today’s update highlights core findings from Thursday’s reports. Graph from the Federal Reserve Bank of Chicago, AgLetter (November 2018). 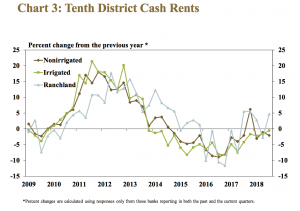 Once more agricultural credit conditions for the District seemed worse relative to a year ago. The availability of funds for lending by agricultural banks was lower than a year earlier for the fifth quarter in a row. 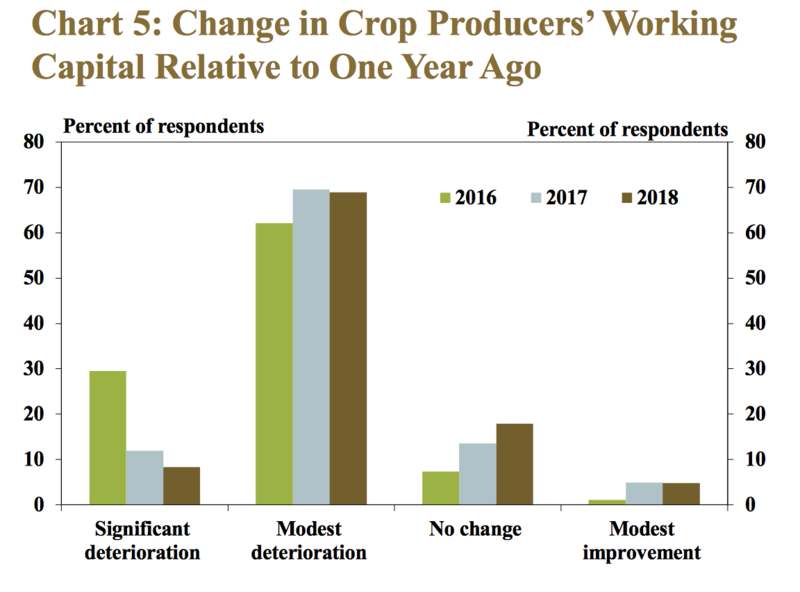 Graph from the Federal Reserve Bank of St. Louis, Agricultural Finance Monitor (November 2018). 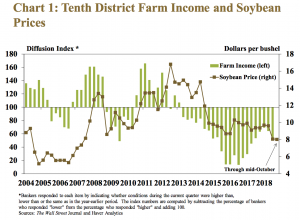 Quality farmland values rose 2.5 percent in the third quarter from a year earlier, after falling by a little more than 3 percent in the second quarter…[and]…Cash rents for quality farmland rose 2 percent in the third quarter. 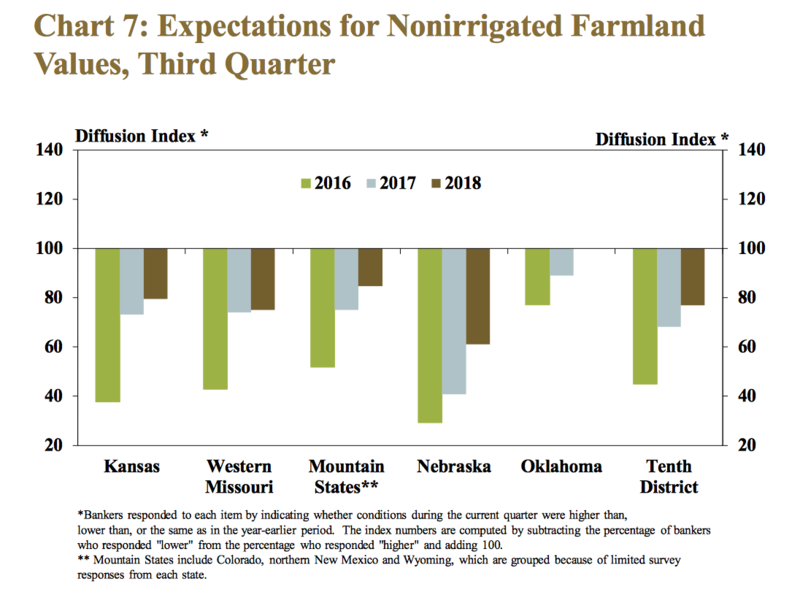 Table from the Federal Reserve Bank of St. Louis, Agricultural Finance Monitor (November 2018). Graph from the Federal Reserve Bank of Kansas City, Ag Credit Survey (November 2018). U.S. soybean exports to China were down 91 percent in the third quarter, elevating concerns that fourth-quarter exports also could decline significantly. 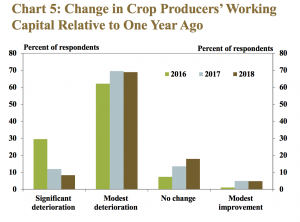 Also last week, the Minneapolis Fed indicated in its Third-Quarter 2018 Agricultural Credit Conditions Survey that, “But low crop prices and trade woes dealt a financial blow to farmers from July through September 2018, according to the Federal Reserve Bank of Minneapolis’ third-quarter (October) agricultural credit conditions survey. 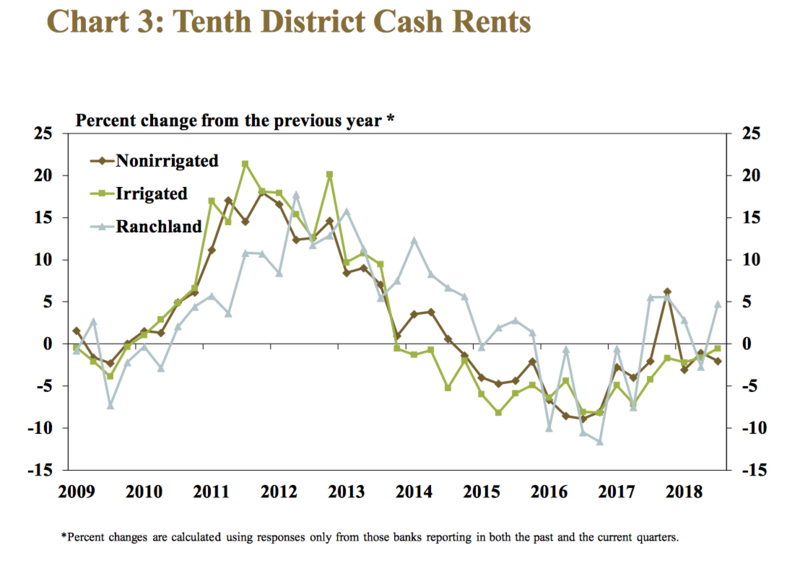 While addressing land values and cash rents, the Minneapolis Fed noted that, “The average value for nonirrigated cropland in the district actually increased by slightly less than 1 percent from a year earlier, according to survey respondents. 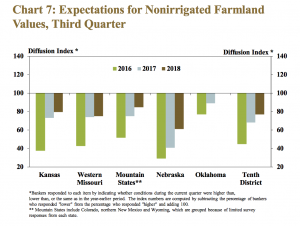 Irrigated land values increased slightly less, while ranch- and pastureland increased a little less than 3 percent on average.